Ah, Sunday – another day we can eat sweet, sweet bacon. But have you ever imagined bacon in a healthy meal? Well boys and girls, I’ve been on sort of a health kick, running three times a week and working out in days between. And with the new health kick, I’ve been trying to eat better. You many not believe it from all the posts and pictures in this blog, but I’ve got a couple health(ier) recipes up my sleeve. One of my favorites is a Bacon Raspberry Vinaigrette Salad. 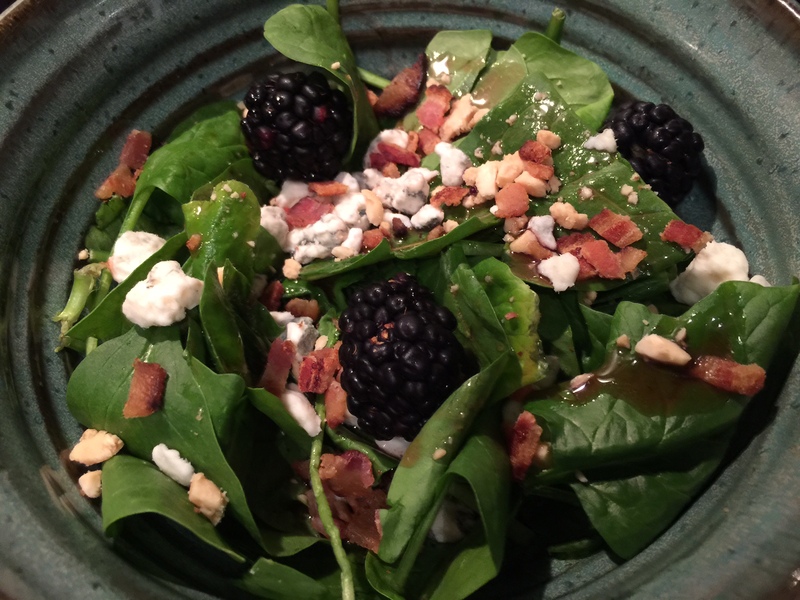 As the base, I use spinach, bacon crumbles, and a raspberry vinaigrette dressing. Then I start looking in the fridge to see what I can add to it – shrimp, for example, makes a nice protein. Next comes the cheese. Usually, I use gorgonzola, but feta or bleu cheese works too. Today, I found some blackberries that were left over from National Margarita Day, so I threw some of those in along with some bleu cheese crumbles and topped with crushed peanuts. I don’t know if it was all the meat I ate over the weekend, or all the booze I imbibed, but I had a craving for some roughage today. Specifically – dare I say – a salad. No, I haven’t gone all fruity on you – I’d never get a salad as a main dish without meat in it of course. Working from home today, I didn’t see much in the fridge to make my own salad – neither meat nor veggies – so I decided to hit one of those fast food joints. I remembered seeing a Wendy’s commercial the other day, so I ventured into the hot Florida sun to track down their new Asian Cashew Chicken Salad. I was surprised, because this salad rocked! 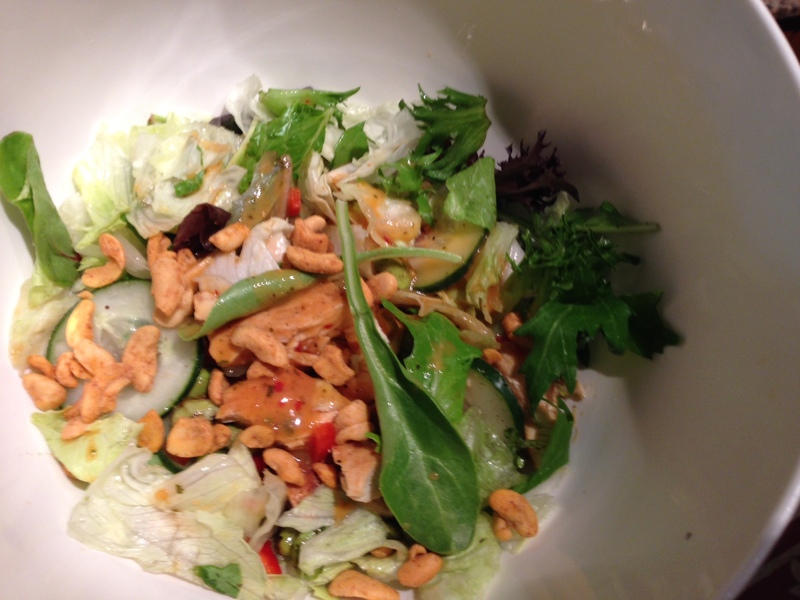 Fire-roasted edamame, spicy roasted cashews, chicken, and a spicy Asian chili vinaigrette – it was taaaaasty!